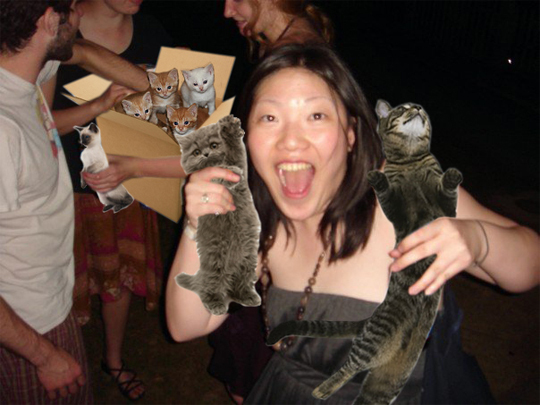 This girl is incredibly excited for for her new Boozecats. It looks like her friends just received a new shipment of them. Mail-order Boozecats are common in towns like Lincoln, Nebraska that don't have a steady Boozecat industry of their own. In the background I can see that the Siamese has been judiciously removed from the variety pack. Nobody likes that flavor, anyway.